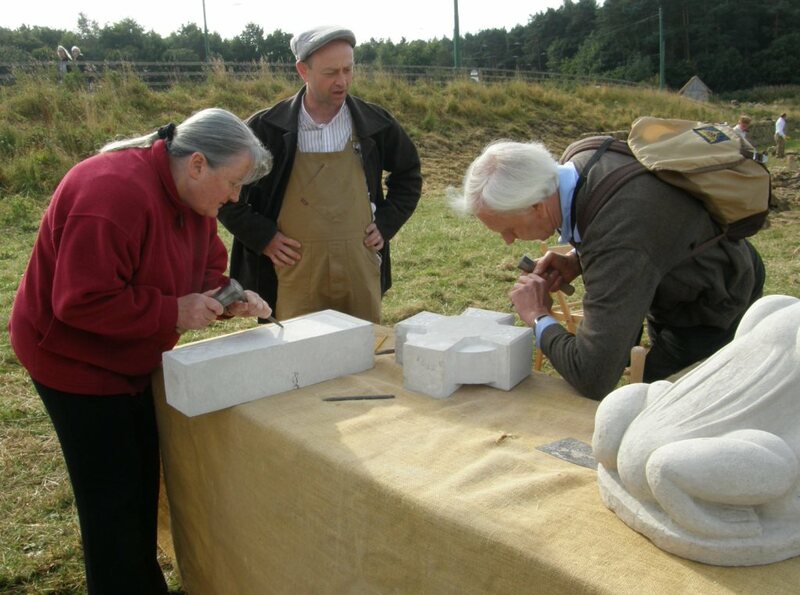 On 22nd and 23rd September I went up to the Beamish Museum near Durham to take part in their Hands on Heritage event. I spent some time before the Beamish weekend making a celtic cross for people to make carvings on. I traced celtic designs onto the basic cross, allowing people to have a go at carving in shallow relief following my design. This worked really well and was a good way for anyone to try their hand at carving and contribute to the overall piece. People were free to drop in for as long or short a time as they wanted, and the cross turned out to be a flexible way to offer carving at this sort of event. Loads of people stopped for a chat over the weekend and around 20 spent some time with hammer and chisel. Also on offer were dry stone walling, ploughing (with horses) and pottery. Thanks to the Beamish team for a really good weekend.